Mother’s Day is coming soon! Are you ready for it? While flowers and chocolates are nice gestures, it has been done so many times before. Do not just stick to the generic presents, especially when you have a printer like the ones offered from Caltronics that can print incredible photos and designs right from home. Adding the hand-made touch will certainly be appreciated, and you can include your children in the effort as well! 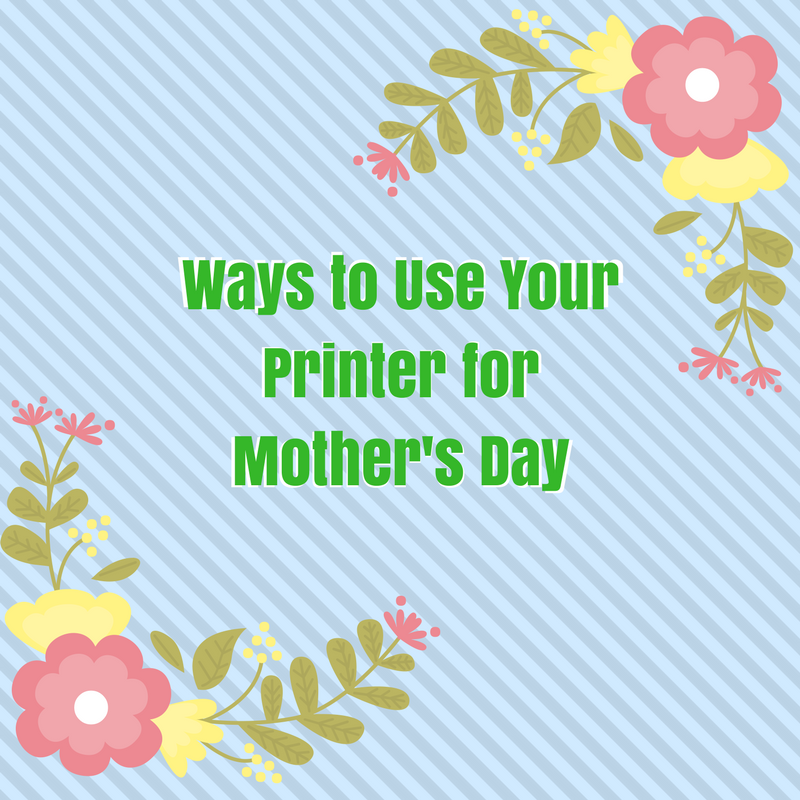 Below are four great ways to use your printer to make this Mother’s Day the best one yet. Thanks to social media, it is extremely common for great photos to stay exclusively online. However, there is a certain level of sentimentality connected with having physical copies of the pictures, as opposed to just seeing them on a screen. With some good card stock or photo paper and your printer, you can make physical copies right from home that can be hung up or put in a frame. You could even start a photo album that can be filled with your favorite memories as a family. 2. Make a unique card. It’s easy to buy a card from the store. But with a good printer, it can be even easier to print a great card from home. Here are some templates to get you started. This is especially great if your handwriting is not the best; you can type out a sweet note inside the card instead! 3. Print out special presents and decorations that get the kids involved! DLTK offers an awesome variety of printable activities and crafts for kids, like the classic Mother’s Day coupons, along with gift bags and tags, printable puzzles, and even mini books. 4. Explore the World of Pinterest. There are great decorations from Pinterest in order to make the entire day festive. You could even print these out and put around your office to celebrate all of the mothers who you work with! Find a variety of different crafts for you or the kids to make, along with invitations for a Mother’s Day celebration, and even printable designs that can enhance the more standard gifts, like cards that go in a pot of flowers or decorations you can hang around the home. With all these ideas, you’re sure to find the perfect gift for Mom with just your printer. This entry was posted in Printables on May 9, 2017 by riehlt.